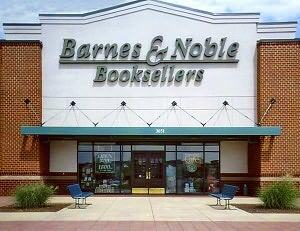 Storytime at Barnes & Noble Potomac Yard! Tuesday May 14, 2019 11:00 AM Join us every Tuesday at 11AM for Storytime in our Children's Department! Tuesday May 21, 2019 11:00 AM Join us every Tuesday at 11AM for Storytime in our Children's Department! Tuesday May 28, 2019 11:00 AM Join us every Tuesday at 11AM for Storytime in our Children's Department! Tuesday June 04, 2019 11:00 AM Join us every Tuesday at 11AM for Storytime in our Children's Department! Tuesday June 04, 2019 6:45 PM Join us the first Tuesday of every month at 6:45pm for a Poetry-Read-Around! All are welcome. Feel free to bring something to share with the group or just to listen. Tuesday June 11, 2019 11:00 AM Join us every Tuesday at 11AM for Storytime in our Children's Department! Tuesday June 18, 2019 11:00 AM Join us every Tuesday at 11AM for Storytime in our Children's Department! Tuesday June 25, 2019 11:00 AM Join us every Tuesday at 11AM for Storytime in our Children's Department! Tuesday July 02, 2019 11:00 AM Join us every Tuesday at 11AM for Storytime in our Children's Department!